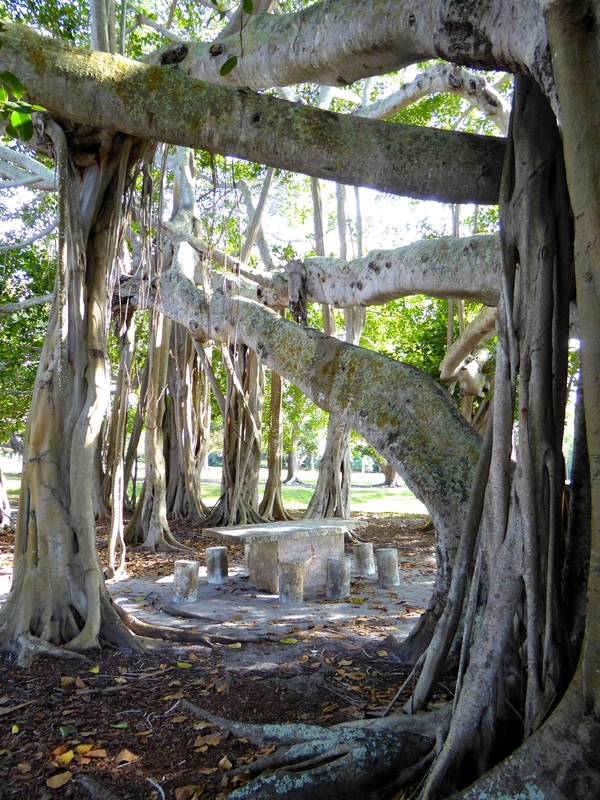 I've enjoyed walking the Ringling grounds while snapping photos so many times since 1993, I feel like a banyan tree groupie. And if you're in Sarasota, FL, enjoy a stroll. By definition. 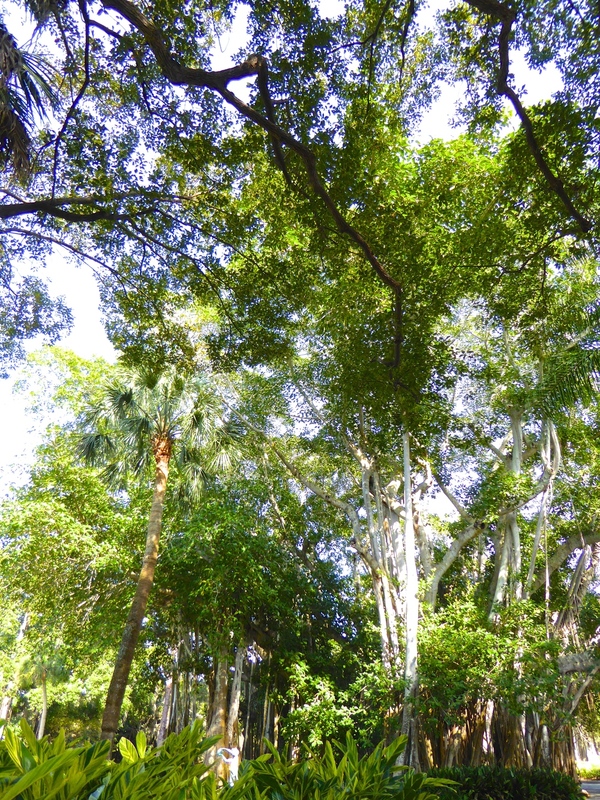 Banyan: an Indian tree with long branches that send roots down to the ground forming secondary trunks. A tree table for ??? John Ringling was one of the five brothers who owned and operated the circus rightly called “The Greatest Show on Earth.” His success with the circus and entrepreneurial skills helped to make him, in the Roaring Twenties, one of the richest men in America, with an estimated worth of nearly $200 million. In 1911, John and his wife, Mable, purchased 20 acres of waterfront property in Sarasota. In 1912, they began spending winters in what was then still a small town. They became active in the community and purchased more and more real estate, at one time owning more than 25 percent of Sarasota’s total area. After a few years the couple decided to build a house and hired the noted New York architect Dwight James Baum to design it. Mable, who kept a portfolio filled with sketches, postcards and photos, wanted a home in the Venetian Gothic style of the palazzi in Venice, Italy, with Sarasota Bay serving as her Grand Canal. Construction began in 1924 and was completed two years later at a then staggering cost of $1.5 million. Five stories tall, the 36,000 square foot mansion has 41 rooms and 15 bathrooms. Mable supervised every aspect of the building, down to the mixing of the terra cotta and the glazing of the tiles. Today, the entrance to the grounds is through the Venetian gothic gateway where the Ringlings welcomed their guests to the opulent Ca’ d’Zan, or “House of John” in the Venetian dialect.